"Willinsky’s account takes us from the practices of monastic scriptoria to the early commercial copyists, organised by stationers, who pioneered forms of commercial publishing surrounding the Universities of Paris and Oxford in the 13th and 14th centuries. We learn about the parallel practices of Arabic scholars and scribes in European centres such as Spain as well as in north Africa and the Middle East—an important reminder that IP has always been a global phenomenon." "John Willinsky is a leader in the struggle for free and open online access to academic journals and other publications. In this outstanding study, he situates the contemporary struggle in the broader context of the long history of the Western 'commonwealth of learning' and the reciprocal responsibilities of all its members, from the fifth to the eighteenth century. This genealogy rediscloses our rights and responsibilities as fellow commoners today in a much deeper and inspiring light." "To sum up: this book is the result of seriously impressive research by the author, and helps to explain his commitment to open access. It provides fascinating detail into the early history of scholarly discourse and publishing, and background to the development of the world’s first Copyright Act. 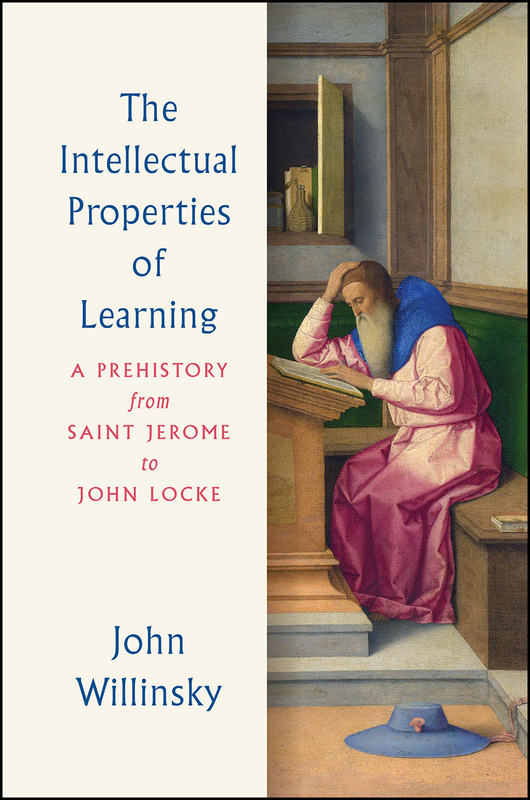 It is warmly recommended to anyone interested in such subjects."